Flash Dryers are known for there economy and quick drying capacity, SAKA make flash dryers cater to a wide range of materials including those that are heat sensitive, explosive and reactive in nature. 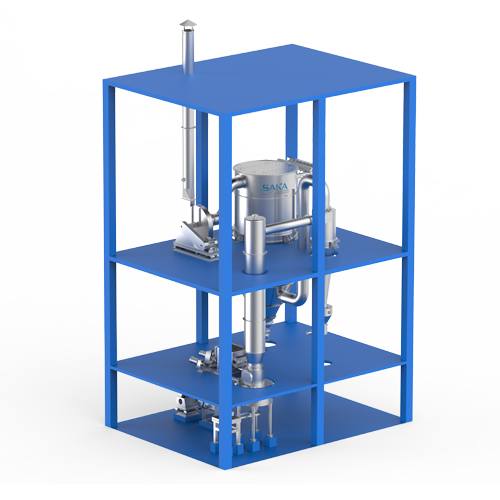 Flash Dryers are ideal for processing wide range of materials like powders, cakes, granules, flakes, pastes, gels, and slurries. 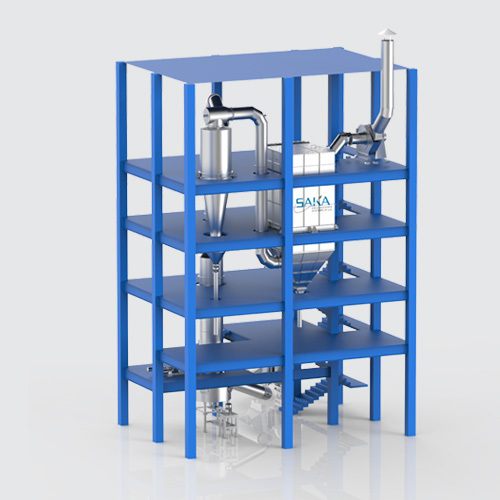 SAKA’s Flash Dryers are known for their simple construction and excellent product quality. Shorter residence time of these type of dryers makes efficient feed dispersion an important and critical aspect of the process. SAKA’s team of experts and engineers always ensure that you get the proper and effective dispersion of your feed. The drying process is carried out by exposing wet material to hot air travelling at very high velocity. 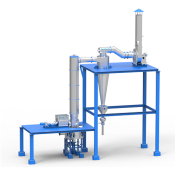 the feed is dispersed into a stream of hot air which pneumatically conveys the material in the drying chamber, feed dries instantly as it is conveyed. Further, material is passed through a cyclone and scrubbers or bag filters to get the final output. 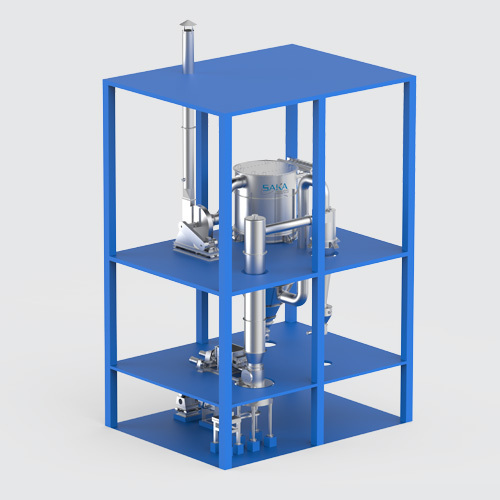 Scrubbers and bag filters ensure that exhaust air is clean and meets the environmental norms. 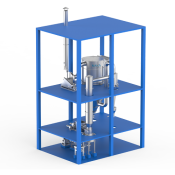 Option of recycling complete or partial exhaust air / gas can be provided depending upon the feed properties and type of material. 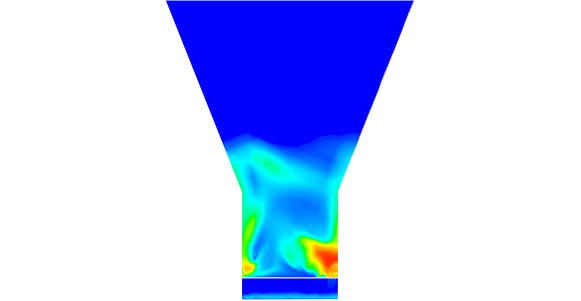 SAKA employs highly advanced methodology of Computational Fluid Dynamics (CFD) analysis, to deliver guaranteed results for your Business, Process reliability and system performance. CFD simulation helps to foresee performance before actual execution of the systems, without actual installation of the system. It also helps understand the most vital parameters for improving performance. 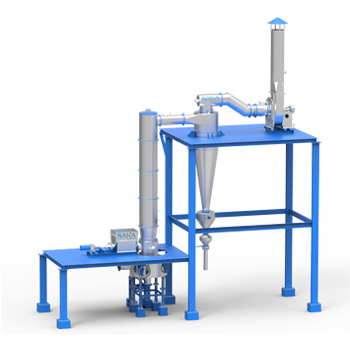 Flash Dryers are one of most economical options in drying technology which requires minimum labor and lowest maintenance costs. SAKA’s Flash Dryers are user friendly and extremely to easy to maintain. Here feed has very low residence time and drys almost instantly. Material drys as it is conveyed. 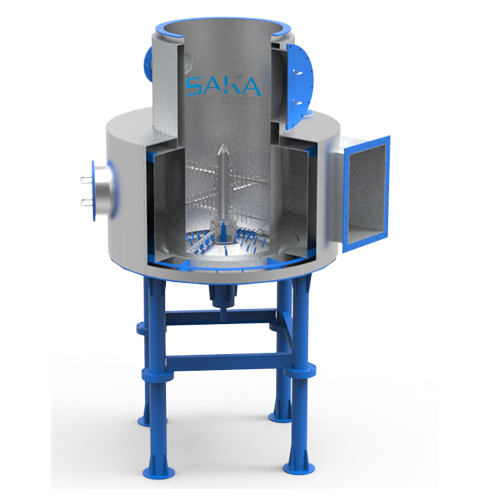 SAKA’s Cage Mill Flash Dryers are ideal for relatively hard or lumpy material.These Dyers are available in two options, Vertical pin and Horizontal pin. SAKA’s Cage Mill Flash Dryers are known for there thermal efficiency, longer service life and are extremely space efficient. Cage Mill Flash Dryers have better crushing capacity required for lumpy or cake type material. The feed is introduced on the rotating cage where it comes in contact with warm air. The rotating cages breaks the lumps or cake and scatters the feed in the drying chamber leading to fast drying. Cage Mill Dryer facilitates easy drying without degradation of the feed. 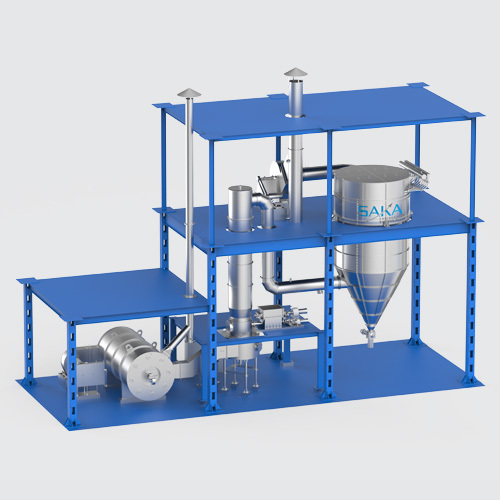 Widely used for generation of dry powder, SAKA’s Spin Flash Dryers are known for consistent performance, sturdy design and lower operating costs. Ideal for continuous operations these type of Flash Dryers are extremely fuel efficient and low at energy consumption. In Spin Flash Dryers, viscous, paste or cake type of feed is introduced to dis-integrator which breaks the lumpy material. The disintegrated material is brought in contact of warm air which drys it almost instantly. Spin Flash Dryers are ideal for products such as fertilizers, pigment, dyestuff etc. 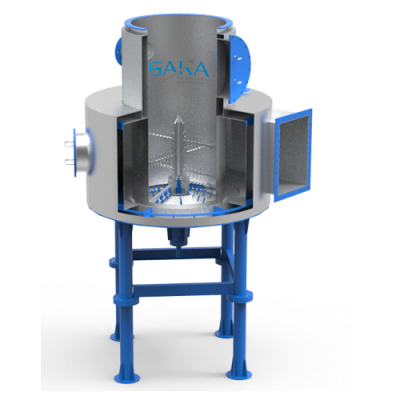 SAKA’s Spin Flash Dryers are compact in design and Requires lesser space. These dryers meets all the pollution control norms and ensures clean environment.